The California State Bar announced Friday it obtained an order from Los Angeles County Superior Court allowing it to shut down the unlicensed law practice belonging to Vincent Enriquez, who had been doing business as NVE Associates, Inc. The court order also allows the State Bar to freeze any bank account associated with Enriquez’s office. 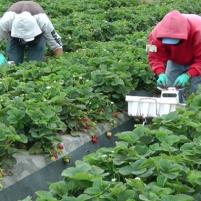 Enriquez offered legal services to farmworkers on the Central Coast, portraying himself as an immigration attorney, according to the State Bar. Several people in Santa Maria retained Enriquez, who provided them legal advice and ensured them they qualified for green cards. The unlicensed consultant then filed asylum applications that resulted in deportation proceedings being initiated against two of his clients. Enriquez fraudulently charged more than $12,000 in legal fees on the two clients’ cases. Prior to seeking a court order, the State Bar sent cease and desist notices to Enriquez regarding his unlicensed law practice. Enriquez did not comply with the notices, according to the State Bar. Unlicensed immigration consultants are allowed to provide certain services, such as translating answers to questions on state or federal forms; obtaining copies of supporting documents; and referring clients to legal representation. Immigration consultants cannot represent their clients in court or provide specific legal advice. Consultants who do so can be prosecuted for unauthorized practice of law. The State Bar is warning that the use of the term notario, which can refer to a person who provides notary and/or legal services, is prohibited in California. In order to avoid being defrauded by unlicensed legal providers, including non-attorneys using the title notario, the State Bar instructs anyone seeking legal services to check whether the potential provider has an active license to practice law and whether the individual has any history of discipline. Likewise, the State Bar instructs consumers to be wary of requested cash payments and to always obtain written contracts and receipts. Additionally, immigrants are instructed to be wary of anyone who threatens to report their immigration status if they do not pay immediately. The State Bar will try to return seized client files or documents to Enriquez’s former clients and inform them it may be in their interest to seek other legal counsel. Former clients of Enriquez are instructed to contact the State Bar directly at (213) 765-1636 to inquire whether any seized documents or files belong to them. Interpreters are available for callers who do not wish to speak in English. Those who clamor to come here to be illegal immigrants should know that you will become second class citizen who is preyed upon and exploited. Welcome to America. Here’s a mop start cleaning the bathrooms.